A Rosé made from Sangiovese and gee it's good. And to be honest, I'm not sure what I like the most here. The evocative floral aromas or the delicious savoury appeal the fruit delivers. Either way, this is right in the slot. Red berries, red currants, even a hint of guava, the fruit and acid is balanced with precision here. A shimmer of spice on the finish adds further interest. I'd go here again for sure. Ice cold, throw me a glass. Salmon in appearance, there's lot of red things going on... Red flowers, red fruits and red berries. Even some watermelon. A 70/30 blend of Grenache and Shiraz, the sweetness comes from the Grenache as the Shiraz is fermented dry. A dryness sweeps through although the fruit is soft and calling for food. A lamb lollipop on the BBQ would do the trick. Good value too. This is a sophisticated delight and quite a pleasant surprise I must admit. The vineyard sits 15 km west of Penola and the fruit is hand picked. Winemaker Ian Milligan's family settled in the area back in 1937 so there's some great history here. A blend of Cabernet, Shiraz, Merlot, and Cabernet Franc, the medium body (13.5% alc) profile caught my attention from the outset. Bright in the glass, wickedly fresh dark berries seem to jostle with each other, a hint of roasted capsicum, licorice and French oak is seamlessly integrated. Man I could drink this all night. Whilst this will certainly to continue to benefit with some age, it's hard not to embrace the smooth and generous fruit on offer. Fine and powdery tannins at the finish wrap up a tremendous wine. My only question would be the cork seal. Why not cap it? Ready to drink now but will cellar for at least ten. A blend of Mourvèdre, Shiraz and Grenache (47/30/23) from the NSW Hilltops region. There's 12 grams of residual sugar here, and although not sickly sweet, something just didn't click here for me. I thought the 2014 was a better wine. Watermelon, red apple skin and red berries move to a crisp acid. The sweetness sticks and just draws my attention a bit too much. Easy drinking no less. Sparkling wines seem to be the biggest seller at Tenafeate Creek with 400 dozen being made of this and the Sparkling Pinot Grigio. This sparkling Sangiovese doesn't have a lot of substance but has plenty of fun factor. Watermelon in appearance nearly dilute red cordial like, there's a smattering of cherry and strawberry fruit through it. Those red berry type flavours hang around just enough. A summer and sunshine drop. The drop of sweetness gives it that appeal. Picnics would be the go here but not a style I personally could drink a lot of. I know a few who would get stuck into it though. Angove are making a good fist of organic wines. 70% of their vineyards are certified I'm reliably informed. That's a pretty decent effort considering the size of the business. I didn't enjoy this as much as the 2013. Although quite fresh, it's plummy with a little sweet black fruit, it just came across thinner than the 2013 particularly through the middle. A drink now type but I'd prefer others. Like good real estate, you know the investment will pay off in the future. Much the same can be said here. Two words I'd use to describe this wine are tight and firm. Whilst all the makings of a great Coonawarra Cabernet are interwoven, it's not ready for drinking just yet. From 45 year old vines, dark fruits and some vanilla get things going. A subtle murmur of spice wades through what is a quite generous delivery of fruit on the palate. Plenty to chew on that's for sure yet there is a warmth about it. Dry to finish this is no where near what it can be. Find a dark place for it and come back in three to five. It will live for plenty don't worry. I can see myself smashing a heap of this during summer whilst sitting in the pool. The freshness and vibrancy is electric. Dry to finish, the lime fruit coats the palate generously and leaves it crisp. White flower aromas set it up nicely before the lime fruit sweeps through. A chalky minerally type finish coerces and other sip but the freshness seals the deal for me and drives this baby home. Riesling lovers need to get around this. And those new to the variety, best you dip your toe in the water right here. Readily available and I reckon you can find it just below $20 - bargain! I like the ride this wine takes you on. There's sweetness, crisp refreshing fruit and then a dryish finish. A smidge on the medium dry side of things, this is a great example of an off dry Riesling. Picked three to four weeks earlier than the rest of the Riesling fruit (9.5% alc), there's 25g/L of residual sugar. I had this with a Malaysian Singapore noodle dish. The heat from the dish was tempered perfectly by the wine. There's a little grip on the finish but it's cleansing no less. I'd have another glass or two when assigning a similar task. Still quite youthful yet tannic. Plump and lingering. The fruit comes off a single vineyard which is dry grown as is all the fruit at Twisted Gum. Loaded with black fruits, a whiff of red apple skin, and some capsicum, the fruit is quite juicy and rich. There's just a little abrasive edge to it which will straighten out with more time in the bottle. It's more a keeper than drink now. I'd be interested to see where this is at in a couple of years time. Evidently, I suspect it will be better placed than where it is now. Time will tell I guess. This Sauvignon Blanc & Semillon blend (79/21) offers plenty of refreshment. Blends like this turn me off from time to time with piercing acidity and those greeny under-ripe characters. Ew! But not here. Fruit driven, what seals the deal is the balanced acid. Tropical fruits are headed by pineapple with some honeydew melon flavours lobbing up. Clean and crisp to finish, the grapefruit like acidity is measured and let's the fruit do the talking. One for a weekend with friends enjoying the sunshine. There's not many sparkling Pinot Grigio wines around the traps so this makes for an interesting wine from the outset. The fruit is sourced from a single vineyard in the Eden Valley and carbonated in a tank. This retains the copper like appearance of the table Pinot Grigio with more of a strawberry/salmon type shade. Smells of pear skin, cut apple and has a lemony twist. Crisp acidity drives the wine leaving a refreshing impression. Simple yet tasty stuff. The label says it would be a good aperitif and I would have to agree. 400 dozen were produced and I reckon this would move pretty easily during the warmer months. Available online or at the cellar door. I was impressed by the neat packaging here. Simple yet effective. The glass with a shade of green masks the colour of the wine which was clever (the image right doesn't do it justice). Clever because the appearance is bronzed, a slight copper perhaps. Many would assume Pinot Grigio is a pure "white" but the colour as presented here adds that point of difference for me. Attractively scented with crisp fruit and textural interest. A tidy wine and modestly priced for $20. I reckon they could chase another $5 and still get it. Freshly cut pear and apple characters sit pretty before a wash of minerality rounds up the tail. That apple sits long on a generous finish. I'd happily go here again. Some more time in the bottle will be your friend here. Either that or give it some good air in a decanter. A solid wine on day one of tasting but it went up a couple of notches and hit its straps on day two. It was as though the straight jacket came off and the party get up went on. Aromas of pan juices, wild mushrooms, dark chocolate and cedary oak. Plummy and dark fruit seems to be trying to claw its way to the fore only to be held by the oak in a choke hold. Quite dense and rich weighing in at 14.8% alcohol, this falls into the old school Barossa Shiraz mould. The second day of tasting revealed aromatic spices, milk chocolate, some clove, cedar hovering in the background yet the fruit was more supple and refined leaving a soft and delicate finish. Quite a comforting wine really. Will live for at least another ten years. Man this is great Sangio. I found the bottom of the glass with absolute ease. Again. Again. And again. Wading through layers of flavour, the delicious and smooth plums drove home the deal. Flanked by fig, turned earth, chocolate and a lick of tobacco. Lots of fruit. Lots of savoury. The acidity is captivating too and adds further interest. To say that I enjoyed this would be an understatement. A long powdery type finish ensured there was plenty to grasp on to. Terrific wine and one I'd easily throw in the shopping cart. Gee we are blessed in this country to have so many wines which over-deliver on the money you shell out. This Galway Vintage Shiraz is a great example. 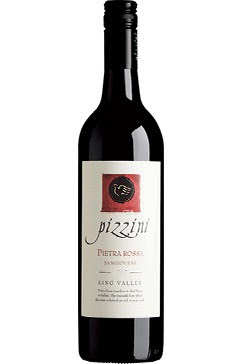 Inviting aromas of red flowers, baking spices, and berry basket. Take a sip and red and dark fruit with some chocolate are wrapped up by a dusting of black pepper and a lick of savoury herbs. Medium bodied, the fruit freely taps away and expresses itself. The vibrancy is certainly engaging with a plentiful finish and powdery type tannins which linger long. A really enjoyable drink and great value. Readily available. Bargain hunters have no cause to complain about this drop. It offers everything Sauv Blanc drinkers look for. Clean and refreshing, it's more citrusy than all those green traits which can be a curse with some wines of this variety. Some time on skins has added some weight to the fruit too. Tropical fruit in the form of passionfruit and pineapple and a citrus zip highlight the wine with some fresh pea sneaking in. For nine bucks you can't go wrong. 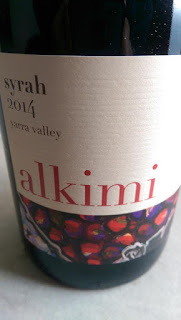 This shot down two other Shiraz releases in a blind tasting which were twice the price. I was interested to read the press release after tasting only to learn the 2013 was sold out due to significant success at various national and international shows. Wild yeast fermented and ten months in French and American oak has delivered a wine with some sweet blackberry fruit that is spread generously. Some of the fruit came from Angove's famed Warboys vineyard. It's soft and appears endless leading to a super long length. The fruit is just juicy and moreish. Chocolate sweeps through adding another layer of deliciousness. A day on and some spice and black pepper start to poke through but the lively fruit is the winner for me. I reckon I could share a bottle which would disappear in no time. The price is ridiculously reasonable too. Worth hunting down. I wish I was sitting in front of an open fire with this in hand. The fruit is wholesome and dense giving a warming embrace. The type you get from an old friend you haven't seen for a while. A 55/45 blend, think black fruits, wallet leather, there's a neat waft of violets too. Oak has a presence but doesn't have too much clout. There's a persistence about it that makes it sit just about right. Those plum fruits aren't flashy but put the shoulder to the wheel and do the job driving through to a long finish. Five years old and drinking really well and I reckon it will hang out for up to another ten. I'd happily have a couple of glasses of this, no sweat.